Dodo is the largest ever living pigeon in the world. It could not fly and it lived in Mauritius. It was 1metre (3.3 feet) tall and it weighed about 23kg (50lbs). It ate fruits. Since it could not fly, it made its nest on the ground. It has been extinct since the mid-to-late 17th century. 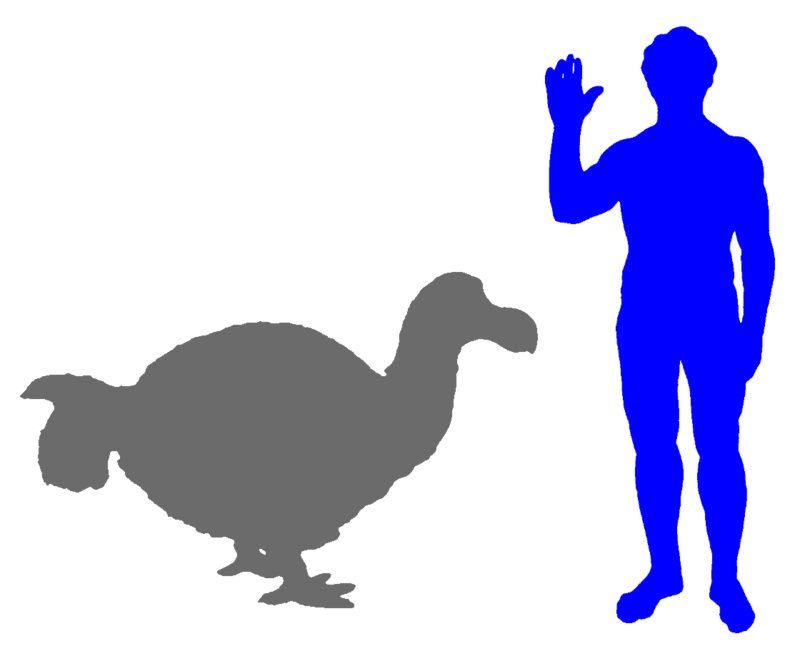 The dodo had greyish and brownish feathers. It has a long bill with a hooked point which was about 23cm (9 inch long). It had very small wings, a pair of fat yellow legs and a tuft of curly feathers at the end of its back. Since it was not able to fly and it was not afraid of humans, it was very easy to hunt. 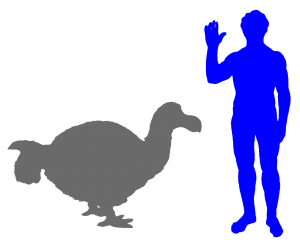 When humans arrived on Mauritius, they also brought along other animals like dogs, pigs, rats and crab-eating Macaques which raided the dodo nests. Now the dodo is gone forever.